Did American whalers discover the east coast of Australia before Captain Cook ? That is the intriguing question a crack team of maritime archaeologists, divers and marine scientists hope to answer when they sail tomorrow for a remote reef 450 kilometers off the coast of Queensland. 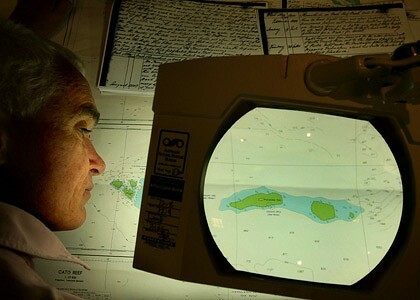 The expedition leader, Kieran Hosty, describes the 200-year-old mystery of Wreck Reef as one of the great untold sagas of our maritime history. The story began in 1803, after Matthew Flinders had completed his epic circumnavigation of Australia and was returning to England. He was a passenger on HMS Porpoise, a 10-gun sloop under the command of Lieutenant Robert Fowler. The ship was traveling in convoy, accompanied by Cato, an armed cargo ship, and Bridgewater, a cargo ship owned by the East India Company. But disaster struck close to midnight on August 17 when Porpoise hit an uncharted reef in the dark. Fowler ordered a cannon to be fired to warn the other ships. In the confusion Cato and Bridgewater were heading for a catastrophic collision until Captain Park, on the Cato, changed course, even though that meant hitting the reef about 400 meters from the Porpoise.